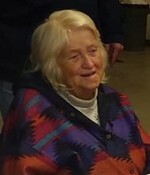 Peggy Ann Myers, 83, of Hedgesville, passed away Sunday, February 10, 2019. Peggy was born on August 9, 1935 in Martinsburg and was the daughter of the late Edward Franklin Stanley and Lillie Ann Myers Stanley. Peggy was a lifetime member of the Salvation Army, a founding member of HVFD Ladies Auxiliary, a member of Rebecca's Lodge. Peggy will be greatly missed by many who drove through Hedgesville, as she waved to everyone from her porch, who passed by her home. 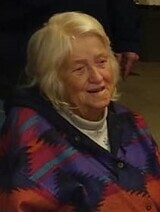 She is survived by one son, Ricky Lee Myers; one daughter, Debbie Kidwell; six grandchildren, Michael, Leslie, Ricky, Jacob, Logan and Noah; four great-grandchildren, Rissa, Corbyn, Kloie and Dallas; two brothers, Gary Stanley, Terry Stanley; five sisters, Janice Rainey, Juanita Ellis, Judi Womack, Jeannie Smith and Barbara Stanley. She was preceded in death by her husband, Ralph Vernon Myers; one son, Jeffery Ralph Myers; three brothers, Edward Stanley, Larry Stanley and Jerry Michael Stanley; two sisters, Dorothy Hardy and Priscilla Stanley. Family will receive friends on Wednesday, February 13, 2019 from 6:00 to 8:00 p.m. at Brown Funeral Home. Services will be held on Thursday, February 14, 2019 at 1:00 p.m. at Brown Funeral Home with Major Tom Guilliams officiating. Interment will be at Tomahawk Cemetery. To send flowers to the family of Peggy Ann Myers (Stanley), please visit our Heartfelt Sympathies Store.